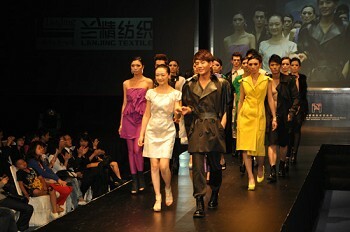 The fashion industry in Taiwan has come to the spotlight of the global fashion stage in recent years. It completed the transition from a mass textile manufacturing hub which is at the lower end of the global chain to the higher end where ideas, styles and innovation are the focuses. What’s more, after decades of rapid economic development, people in Taiwan also become generally satisfied economically, and turn to focus on improving their life quality. Following up the fashion trend is one of the ways to their interests. This habit ensures the popularity of the fashion industry in Taiwan among people. So, from the ability to produce on the supply side, to the consumers’ positive attitude on the demand side, the fashion industry in Taiwan has become quite a well-established and mature industry. The fashion industry in Taiwan is influenced heavily by fashion trends from the main hub countries of the global fashion trend, such as Japan, Korea, the United States and Europe. Even though there are a few Taiwanese designer, such as Jason Wu, who is most famous for designing the dress of Michelle Obama on important occasions including the first and second inauguration of American President Barack Obama, emerging in the world stage, the overall influence the fashion industry in Taiwan has on the world is still limited and its distinctive characteristics are yet to be developed. According to a report by CBRE Consulting, Taipei ranked fourth as a target market for international fashion brands for overseas expansion, with 49 new brands establishing a presence in Taipei, compared with 29 in 2013. The result left Taipei trailing only Tokyo with 63 entrants, Singapore with 58 entrants and Abu Dhabi with 55 entrants. Starting in 2010, in which UNIQLO opened the first flagship store in Taipei, the fashion industry in Taiwan has been stormed by the international fast fashion brands. These international fast fashion brands have an appeal in Taiwan with their moderately priced, affordable and fashionable products. These advantages won the hearts of Taiwanese consumers. The arrival of international fast fashion brands poses serious challenge to the local brands in Taiwan. Currently individual designer brands perform better at competing with those international brands, but local companies are still having a hard time. Government has been trying to help develop the local fashion brands. In 2011, the Taiwan Textile Federation began operating the Fashion Institute of Taipei, a clothing design hub, creating platform for more designers to interact and showcase their works. When people turn to seek more individuality besides those international brands, the local fashion force in Taiwan can be expected to come closer to the spotlight of the stage.